Nowhere is the problem of food waste more obvious than at supermarkets, where fresh produce is routinely tossed out for cosmetic reasons. It was this simple observation that inspired researchers to explore ways to recover supermarket surplus food and repurpose it to feed hungry people, generate revenue and even create jobs. 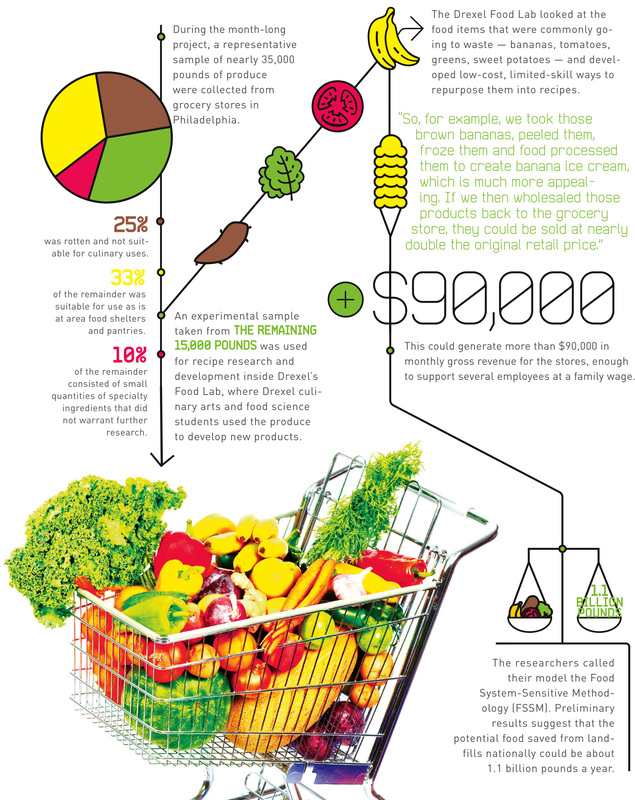 Deutsch, along with researchers from the University of Pennsylvania, Cabrini College and the Environmental Protection Agency, piloted a surplus food management model in West Philadelphia in 2015 that diverted fresh-but-unsold fruit and vegetable groceries from landfills and processed the food for donation or for new businesses. If diverted to new foods, each of the country’s 46.1 million SNAP recipients could figuratively receive an equivalent of 24 pounds of food a year.